This is the top page of Just a flower, which illustrates a way to eliminate atomic bombs. How can humans discard nuclear weapons and achieve eternal global peace? The theme of the annihilation of atomic bombs and armaments is targeted for mature readers as some of the contents may be disturbing. We recommend parental guidance for minors. The writer has no intention to induce readers to pass judgments on anybody. In other words, we do not induce you to have any illusions of good and evil. To judge related parties as either good or bad obscures the true nature of matters and will close the path to eternal world peace. If your are unsure of the meaning of the illusion of good and evil, we do recommend you to read the other picture books, the messages on this web and/or the book, Good and Evil Addiction before your open the pages of Just a flower. Please stop reading if you find the contents disturbing. 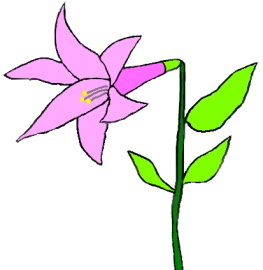 The picture book, 'Just a flower' is fiction.